Welcome! 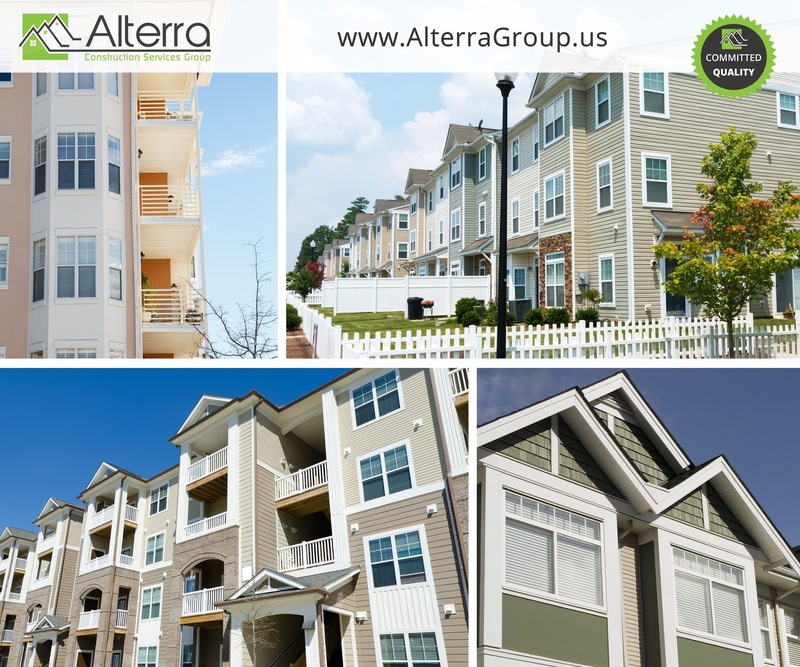 Established in 2010, ALTERRA Construction Services has been specializing exclusively in the multi-family industry. We are the region specialists in Multifamily Exterior and Interior Renovations that include but not limited to complete Interior Rehab, Wood and Fiber Cement siding installation, Vinyl Siding, Window and Door Replacement, general Carpentry Repairs, Balcony Rebuilds and Exterior Painting. Over 18 years of experience! While currently in our Third year of service, our principals bring to the table a combined 18 years of experience in the business and it has enabled us to develop the workforce and the infrastructure needed to complete projects in a timely manner with minimal inconvenience to your residents and staff. Our priority is to create a relationship with your apartment community and a long term ally for many years to come. We look forward to an opportunity to work with your company.